I have heard lately that Marks & Spencer will be closing their two stores in the Netherlands and that they will only keep the online store. I seriously like browsing through the large Food hall and it is sad that I can no longer do that very soon. 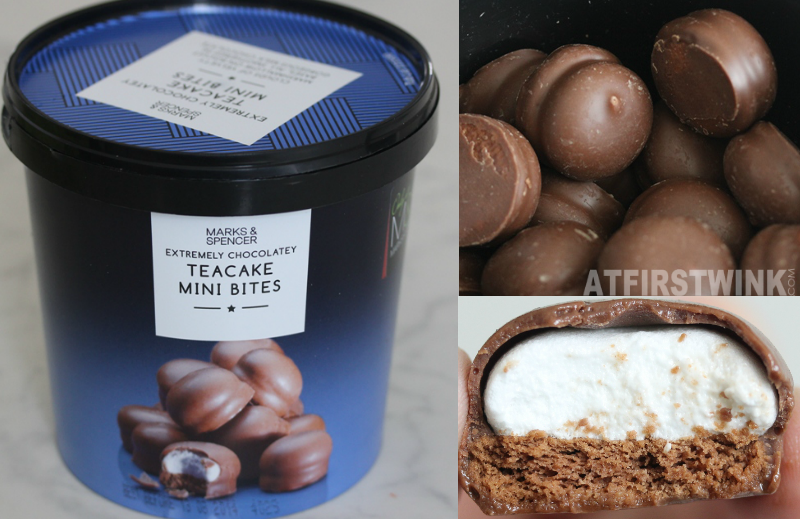 I thought it was a good idea to sum up some of my favorite food from Marks & Spencer in a series of blog posts. 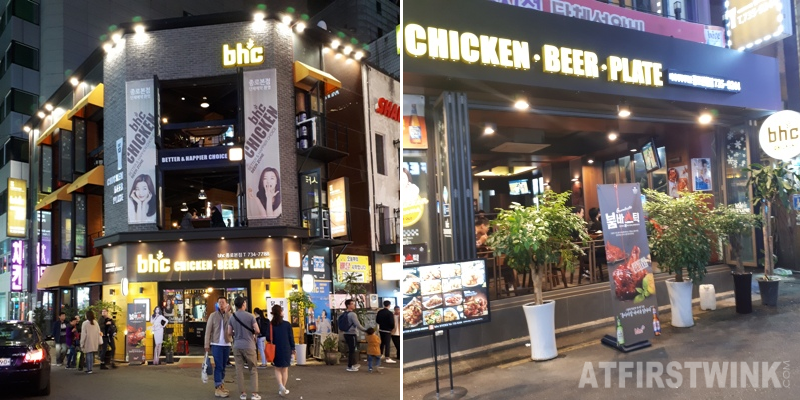 I hope I can recommend you some food that you haven't tried yet and convince you to buy it, while you still can. 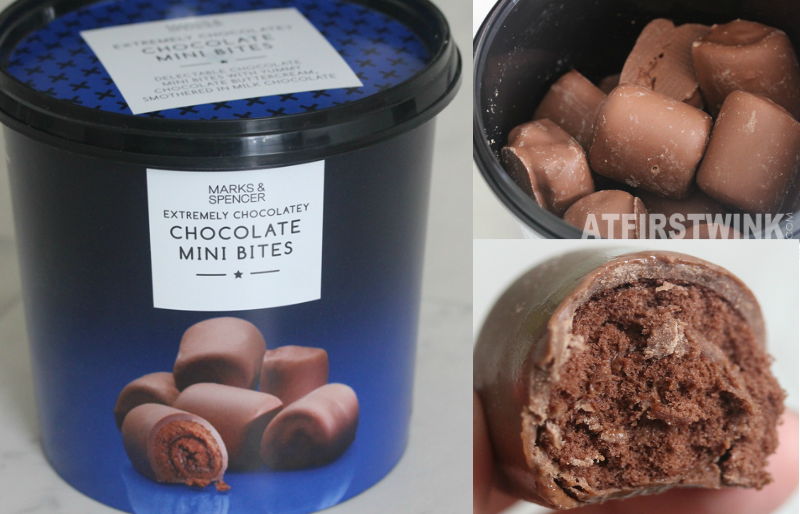 The first Marks & Spencer food items that I was the most curious about were the delicious looking chocolate bites in the large round bins. Before, I had reviewed the special summer edition, which were strawberry and buttercream mini bites. I will only review the five kinds that looked the tastiest to me, but there are still several kinds left that I haven't bought. 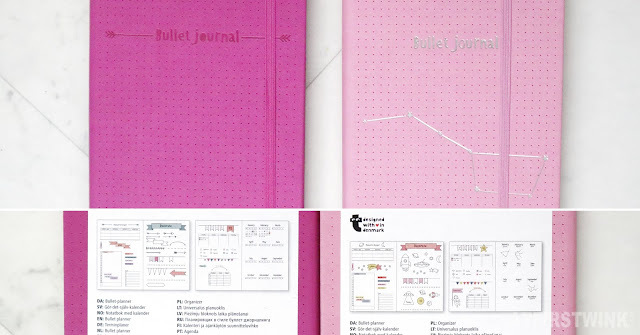 You may like them, so check them out in the store. These are milk chocolate covered mini chocolate sponge cake rolls filled with caramel flavoured butter cream and caramel sauce. These also have special light yellow swirls as a decoration on top, whereas the other two similar mini bites - which I will review underneath - have no decoration. I liked everything, except the caramel flavored butter cream and the very little caramel sauce that I could find. Maybe, only the 2-3 pieces I ate didn't have enough of both of them or the two elements weren't balanced enough, but I didn't really like the caramel flavor. These are milk chocolate covered teacakes with a buttery biscuit bottom and a soft, velvety marshmallow on top. They look a bit similar to the Dutch choco-kiss cakes, which have a thin, crispy outer layer and a high dome shape. The bottom is made with a thin crispy wafer. The teacake mini bites have a thick, crumbly biscuit bottom instead. I like that it isn't too sweet, but the three elements (milk chocolate outer layer, marshmallow, and biscuit) seem to fall apart in the mouth and don't seem to melt into each other. 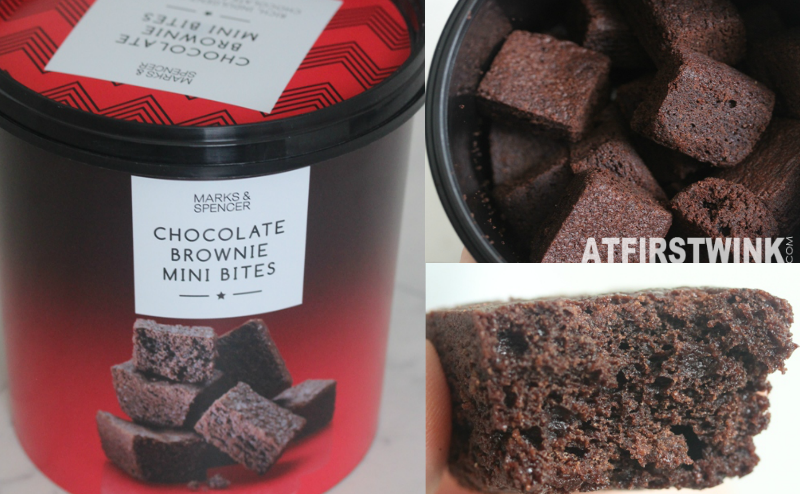 These are rectangular, mini blocks of brownie and they have a nice chocolate flavor. The brownies are a bit firm, but airy. The only flaw is that it is slightly on the dry side. These are milk chocolate covered mini chocolate sponge cake rolls filled with chocolate butter cream. Although the promised, triple chocolate experience (milk chocolate outer layer, soft chocolate sponge cake, and chocolate butter cream in the center) sounded good, it was a bit of a disappointment. When you eat it, you cannot really distinguish the three elements and all seem to taste very similar. 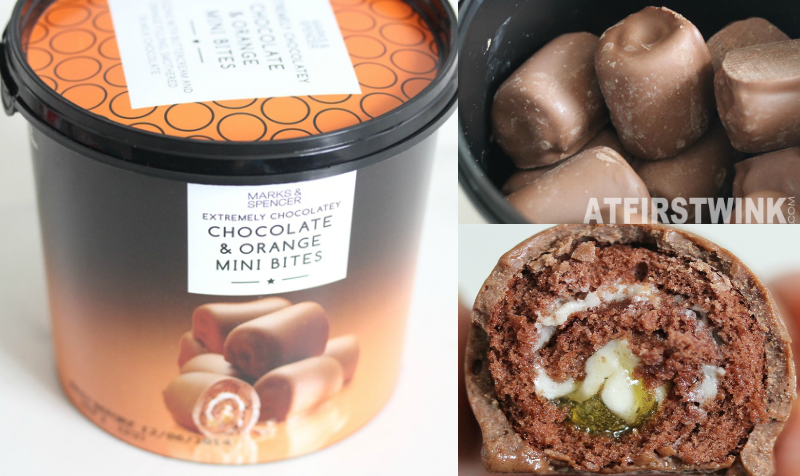 These are milk chocolate covered mini chocolate sponge cake rolls filled with buttercream and orange jam. Out of all the flavors, I like this one the most. It has a very noticeable sweet orange flavor with a bit of sourness, which makes it tastes less overly sweet. 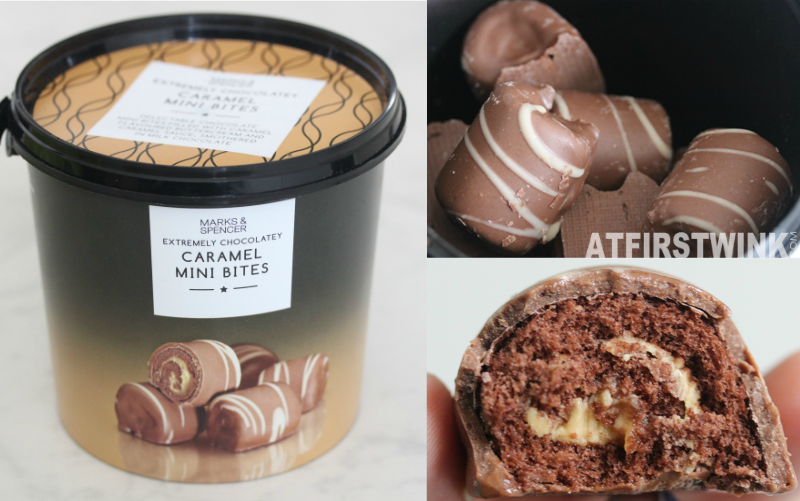 The mini bites look small, but it is almost a chocolate explosion in your mouth, so I really recommend eating these with a cup of tea or coffee.